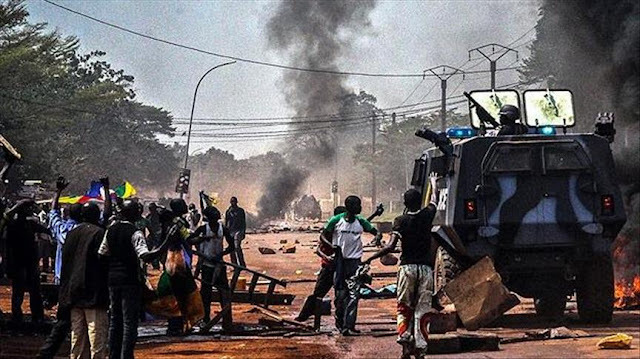 Bangui (Agenzia Fides) - "When a Central African returns home after spending a few years abroad, he realizes the abnormal and precarious situation that the Country is going through. Since 2013, so many resolutions have followed in relation to the Central African crisis and yet reality does not change": says to Agenzia Fides Fr. Francis Davy Barka-Nado, Superior of the District of the Society of African Missions of the CAR since 2017. "The news on incidents and massacres committed by rebel groups against the civilian population do not reflect reality on the ground. What is said, transmitted and disseminated by international means, is bias and exploited. When there is a tragedy in a city or village, the survivors know who did what and know the number of victims. But they are also victims and do not have access to international media to express themselves. Often the perpetrators are presented as victims", explained Father Francis. "The suffering of the Central African population - he notes - far exceeds what is reported outside the Country or what is seen on television in the West. Death has become an everyday friend. The morgues of the Bangui General Hospital and the community hospital are no longer sufficient to receive corpses. The coffin business, which culturally represents a taboo, is becoming very profitable right now". of the religious platform of Central Africa invited the people to a demonstration at the Bangui sports stadium on Friday 25 May (see Fides 28/5/2018). On that day - adds Father Francis - strangely, nothing can be found regarding the statement of the spiritual fathers of the Platform on international media".